We’ve just returned from our stay at Croftness Cottage over the Christmas week and it’s safe to say that neither of us wanted to leave. The cottage is in a lovely quiet location just above the town of Aberfeldy but only a 10 minute walk to the centre, where you can either get something to eat and drink or buy essentials at the Co-Op. Our favourites are the Habitat Cafe in the square, who do a fantastic burger and also MacDonald Brothers Butchers who sell great venison pies. The cottage itself retains its original charm but has been tastefully modernised to make it extremely comfortable and cozy. We especially loved the bathrooms but all the rooms were great. On arrival the cottage was exceptionally clean and well maintained, which is really puts you at ease in knowing the owners care about their guests. During the week we mainly went on local walks in the Tay forest but also visited Perth and went on a longer drive to the Balmoral estate, which was the highlight. We intend to return in the near future. 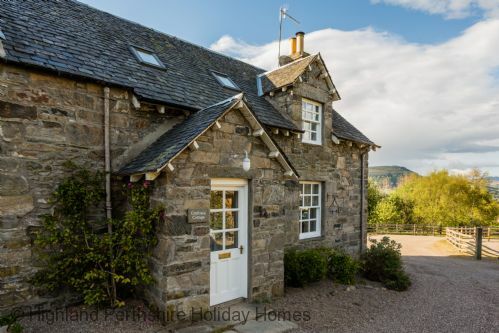 An absolutely stunning cottage in a beautiful location. The cottage is finished to a very high standard and spotlessly clean. A lot of thought has gone into making sure everything you could possibly need is provided for. It was so lovely having been out for long walks to come home to the comfort of the cottage, it really was a home from home.